Plagron is a mixture of various types of peat combined with other fibres to increase oxygen levels. There is also perlite – expanded volcanic glass – to aid water retention and prevent the soil compacting as much. 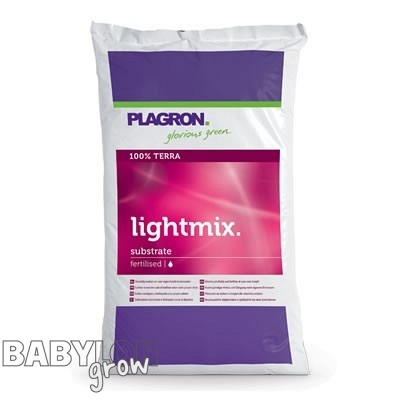 The nutrient content of the light mix has been kept to a minimum and to get the most from your plants you will need to use a soil nutrient such as Hesi or Plant Magic.